Design-for-manufacturing (DFM) is a well known term and an essential part of the design process. Not as well known but just as important is the concept of design-for-assembly (DFA). If you optimize your circuit board so that it is produced flawlessly, yet make it so the board can only be assembled by tedious hand soldering, then you have saved cents per board on manufacturing just to increase the cost by dollars per board on assembly. To avoid this, both the manufacturing and the assembly need to be taken into account during the design phase. Fortunately, there is generally no need to compromise between manufacturing or assembly and in most cases you should be able to design a board that is both highly manufacturable and easily assembled. The first step in being able to design-for-assembly is to understand the assembly process. 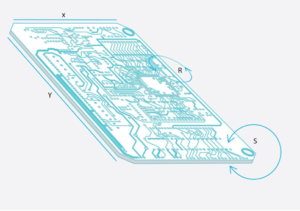 This process will be discussed in depth to show how a board goes from an unpopulated printed circuit board (PCB) to a final product, ready to be packaged and sent to consumers. The first absolutely critical step of the assembly process happens before the PCBs have been manufactured. The first step is to contact your assembly house and talk to them about the project. Communication should be a constant throughout the life of the product with continual feedback and discussion between the two parties. While we will discuss the general processes of an assembly, each house will have its own methods, strengths, and requirements that you should become familiar with and either prepare for or take advantage of. Depending on the assembly house, you will likely be assigned an account manager who will help you interface with different members of the team as necessary. If possible, go visit the assembly house in person, meet the team, and look at the process. This is a great time to get a feel for a company, its staff responsiveness and professionalism. Take a look at the production floor and check to make sure that proper electrostatic discharge (ESD) precautions are taken, that current projects are organized, and that the overall facility is clean of dust, debris, and chemicals. Long delays in communication, conflicting feedback from different members of the team, or disorganized facilities are signs that you may have trouble later on. In preparation to submit your boards for assembly, there are certain items that you need to provide to the assembly house so they know what to do once they receive your boards. The first is your bill of materials (BOM), which should include part number, description, value, reference number, and package type. It is advised that this information be complete and accurate or the assembly house will almost certainly place parts in the wrong places. If there is something that looks odd to them, a good assembly house will stop and ask for clarification. Once the assembly house has received all of the requisite information, they will begin by reviewing what they have been sent. They will catch more obvious errors and work with you to get them resolved. A few assembly companies run designs through internally developed verification software, which use the above mentioned manufacturing files to create digital images of a design and help catch part-to-footprint errors. Then, depending on if it is a turn-key process, they can order parts and/or boards on your behalf. If ordering assembly only, you will need to ship them the boards and the parts, making sure to provide the appropriate overages. Again, proper paperwork and labelling is crucial. If your BOM and board match each other with the appropriate reference designators, but you mislabel the parts when providing them, there will, at best, be delays. At worst, the entire run can require rework, considerably increasing assembly costs. Check with the assembler for kitting checklists or recommended best practices. Some companies will even send you custom kitting labels free of charge to help with accurate kit preparation. The physical process at the assembly starts with setting up the pick-and-place machines. This involves loading the XYRS files and all of the different parts into the machines. Reels and trays are manually loaded and some pick-and-place machines can even accept cut tape. Certain assembly houses will hand populate a board and then scan that into the pick-and-place machines to “teach” them the correct locations of the different parts. While this is effective, it takes even longer and can sometimes lead to large setup costs. For small runs, some assembly houses will use hand placement for every board. This is very time consuming and creates inconsistency for both solder-paste application and component placement. There are a few companies that specialize in machine-assembling low-quantity orders. Using a proprietary software system, they have automated the set-up process, making it cost-effective and fast to set-up the pick-and-place machines – even for a single board. For smaller runs, certain pick-and-place machines are able to deposit solder paste where necessary for surface-mount technology (SMT) parts, but it is much more common for a solder stencil to be used. 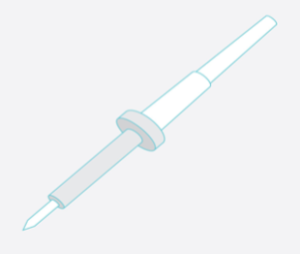 Depending on the method, either the Gerber file for the paste layer is uploaded into the pick and place or the stencil and solder paste are physically loaded. In the case of SMTs that will be wave soldered, a glue file or stencil will need to be provided so that the SMTs can be held in place during the wave soldering process. Once the pick-and-place machine is setup, PCBs are either manually placed in the machine or the boards are brought in via a conveyor system. The boards are then clamped into position, and the pick-and-place machine uses an optical inspection machine to detect variations in the placement of the board in regards to X, Y, and theta. At this stage, use of fiducials is most important since the machine can reference the fiducials as absolute points on the board and then accommodate for small, yet potentially catastrophic, misalignments. The pick-and-place machine automatically places the stencil on the board, deposits a dab of solder paste, and wipes the board, smoothing the solder paste across the stencil and covering the appropriate places on the PCB. The board is either moved or the stencil removed, and the board begins to be populated. 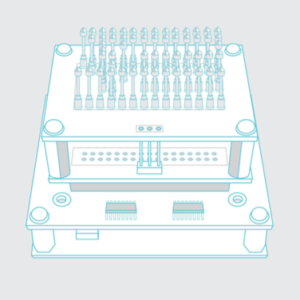 Pick-and-place machines can only place parts on one side of the board, after which they will need to be taken out, soldered, and potentially run through the pick-and-place to take care of the back side. Surface-mount parts are kept in place by the surface tension of the solder paste if they are to be reflowed, otherwise they are simply glued in place in preparation for the wave-soldering process. As the pieces are placed onto the board, there is sometimes a literal push as the pick-and-place puts the parts on the board. This push, or pressure downward on the board, is typically benign, but with thin boards, or panels with only a bare minimum of connecting tabs between the boards, you may see the board flex. As the pick-and-place moves away, the board snaps back to its original form, sometimes flicking pieces off the board. 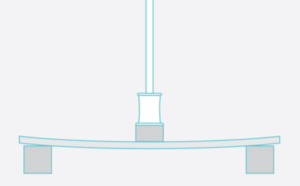 If your design calls for thin boards or minimal break tabs, it is recommended to speak with your assembly house to make certain that this will not cause a problem. With the board solder pasted or glued and populated, the board is ready to actually be soldered. If there are only a few boards, the assembly house is likely to simply hand solder the board. While this is a slow method, it requires no setup time and limits the amount of thermal stress on the components as the application of heat is highly localized. If the boards are comprised of primarily surface-mount devices, fine pitch or bottom terminated devices, or more than a handful of boards are going to be made, reflow soldering is the likely choice. Reflow is much easier to design for than wave soldering but is less than ideal for through-hole components as well as being more expensive. Wave soldering is an older, very mature technology and has excellent success with through-hole components. Wave soldering surface-mount components adds complexity, but it is generally better to design a mixed-technology board to be either wave-soldered or reflow-soldered than to require both. Depending upon the process, boards may be delivered to another station to insert pressfit parts, or complete any TH soldering. Once the boards have cooled enough to handle, the final step before shipment is testing. There are an impressively wide array of tests that can be performed on assembled PCBs. The most simple is the visual inspection. When the boards are complete, a trained inspector looks over the boards to find obvious problems such as missing parts, tombstoned passives, or components that were not actually soldered. 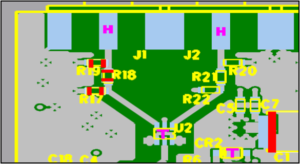 This can be followed by an automated optical inspection (AOI) in which a computer inspects the board. Older inspection software compared new boards with a known good board, or a golden board, but newer inspection systems compare the produced boards with the electronic files from which they were produced. These two inspections are standard with almost every assembly house but further tests can be performed if requested. The automated X-ray inspection is a tool very frequently used with BGA and other leadless devices, to make sure that proper solder connections were made between the integrated circuits (IC) and the board. Electrical testing can also be used at this point, either via a joint-test-action-group (JTAG) connection or a bed-of-nails tester. Finally, the board can be given a functional test, verifying that it starts up and performs in the way expected. The level of testing is your decision and dependent on the complexity of the board and requirements for reliability. After the testing is complete, a decision must be made. What should be done with the defective boards? If you’re producing low-cost, consumer-level products, it may not be worth the time and associated cost to repair the board. Large, expensive boards usually indicate a greater investment and are more likely to be worth taking the time to troubleshoot and salvage. Before production, the general policy on defective boards should be made; however, there will need to be decisions made on the production floor by the technicians. A simple tombstoned resistor would only take a few moments to fix, while a board that fails the functional test yet passes the other tests could take considerable time to troubleshoot. This is one of the many reasons that communication with the assembly house must be continual throughout the process. Once the boards have been confirmed as good, the assembly house will ship them off. If it were a small prototyping run, they may package the boards in antistatic bags and send them directly to you with the excess materials. For large runs, some assembly houses have the option of packaging the products for you and sending them either directly to distributors or even end consumers. These details can be worked out with your assembly house, but if the pricing is competitive enough, this can allow you to focus on improving your product and creating the next generation instead of worrying about stocking, storing, and shipping. Dedicated circuit board assembly houses have the expertise, experience, and equipment to quickly produce high-quality populated boards. By knowing what they do, how they do it, and how you interface with them, you can increase quality and throughput while decreasing cost. To have a better idea of what type of assembly would work best for your product, start searching for assembly houses and asking questions. Work with them to make sure that your design for assembly is on par with your design for manufacturing. With this knowledge and careful planning, your production cycle should move smoothly, manufacturing quality products quickly and inexpensively. Did you know Advanced Assembly offers free DFA checks? Click here to read more.